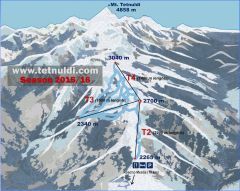 Ski Resort Tetnuldi - the largest ski resort in Svaneti region, the second largest after the most popular ski resort in Georgia - Gudauri. Tetnuldi is very special Georgian resort with reasonable prices and ample opportunities of skiing, a paradise for lovers of winter sports and tourism. 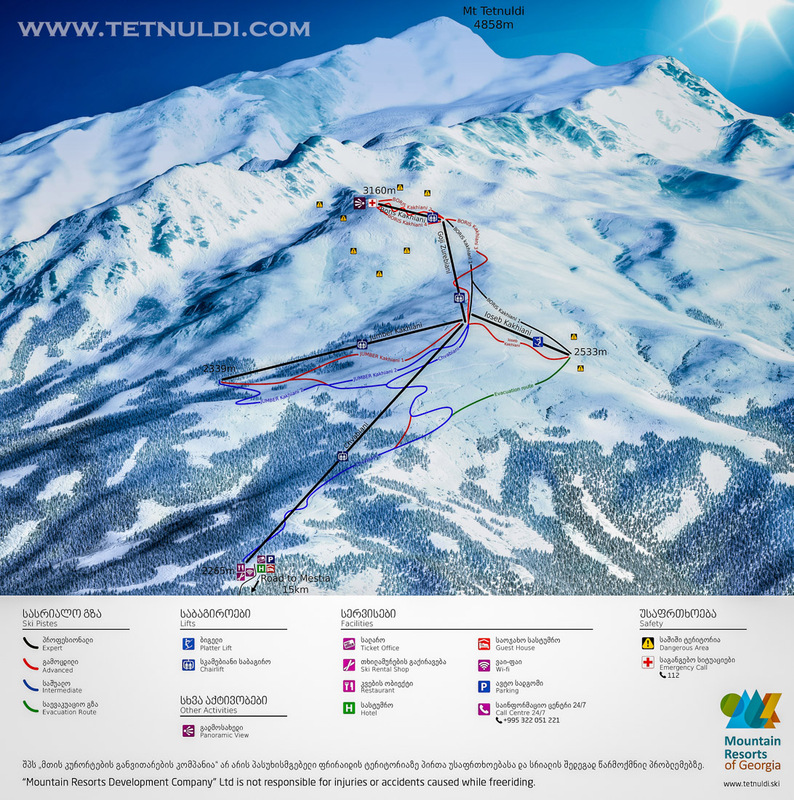 Skiing area in Tetnuldi concentrated on the northern, western and south-western slopes of Mount Tetnuldi (4858 m), at altitudes from 1600 m to 3165 m. It can be reached from Mestia town on a taxi or shuttle bus from the hotel. Trails in this region are quite diverse and have a total length - 25 km. The longest trail reaches 9.5 km. Altitude: 1600 m. - 3600 m.
The height difference: 900 meters. Ski lifts working hours: 10:00 - 16:00. The site works a dozen cafes and restaurants. Information on availability of cafes on the slopes of ski resort Tetnuldi will be updated closer to the winter season. Connecting webcams Tetnuldi planned for next year.